What means what, and what does what? Logo/Background: A logo is found at the top of your website. A background is commonly confused with homepage image. A homepage image is the main photo(s) or video on your... yes you got it... your home page. A background image is what is found on other sub-pages or the even parts of your website. Background: If you choose not to upload a background image you can choose a color for you background here. 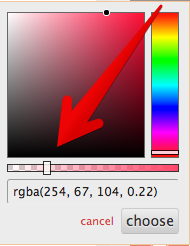 If you do choose to upload an image then remember to change the color to opaque. Artist Name: This is where you can change the color of your artist name. An artist name is present when a logo has not been uploaded. Menu Background: Color of background in your menu. Menu: Color of text in your menu. Accent: The color the text will change when the mouse hovers over it and for links. Button Background/ Button Text: Color of buttons like those from Social Media Bar, or newsletter signups. 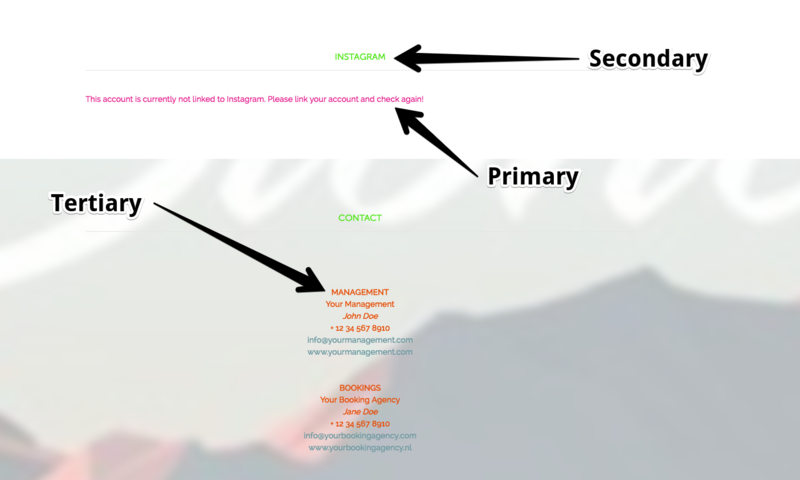 Footer Background/Footer Primary/Footer Accents: A footer is found at the bottom of your website.